We have taken it upon ourselves to provide you with a $50 credit towards any of our winning picks just for signing up. This credit can be applied to any of our Expert’s Premium Picks, Subscriptions or [IS] Insider Reports - it is your choice. Start winning now! **MUST HAVE A INSIDESPORTS ACCOUNT TO REDEEM YOUR [IS] CREDIT. 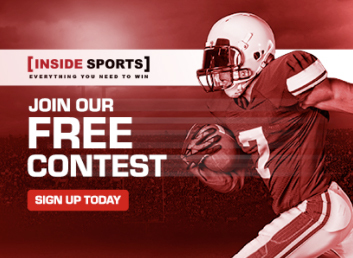 CLICK "JOIN NOW" TO CREATE YOUR FREE INSIDE SPORTS ACCOUNT. CREDIT MAY BE USED ON ANY SINGLE PRODUCT, OR COMBINATION OF PRODUCTS, UNTIL THE CREDIT HAS BEEN FULLY USED OR EXPIRES. Inside Sports is everything you need to win! Our unrivaled network of sports betting experts deliver the right balance of knowledge and information needed to win consistently, game after game. We have the best information available, whether that be our Expert’s Premium Picks or our industry-leading Insider Reports. Simply put, no one wins more.